This survey template provides customers at an auto dealership with the opportunity to provide feedback about their experience. There are options for customers to provide contact information so management can follow up with unsatisfied customers. Do you need a way to measure service satisfaction at your auto dealership? Leading dealerships now realize that the customer experience is a vital factor when it comes to choosing where to purchase and service their vehicles. According to a 2015 sales consumer experience study, a dealership could bring in over $100,000 annually by focusing on and prioritizing customer satisfaction. If you want to discover how your customers really feel about their service experience, we can help! Use this car dealership customer satisfaction survey or create your own customer satisfaction survey to collect valuable insights and take action on your data. 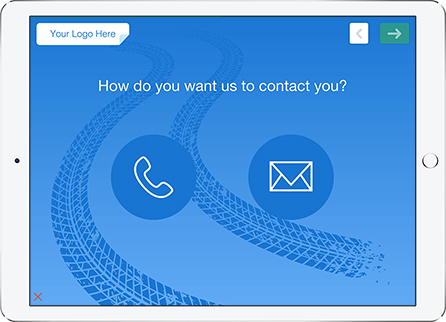 With our offline survey app, you’ll be able to gather feedback from your dealership customers and easily collect contact information to follow up with unsatisfied buyers. 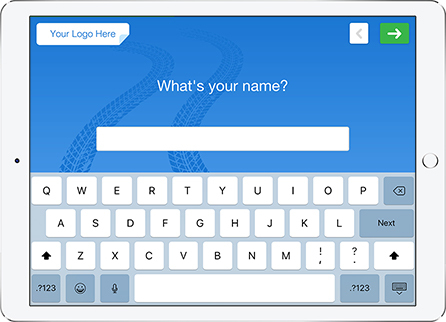 Set aside your pencil-and-paper surveys, and try QuickTapSurvey’s survey builder app to create and brand your own auto dealer satisfaction survey. If you value your customers, try it today! This dealership survey template design is fully customizable with a Pro or Premium plan level. 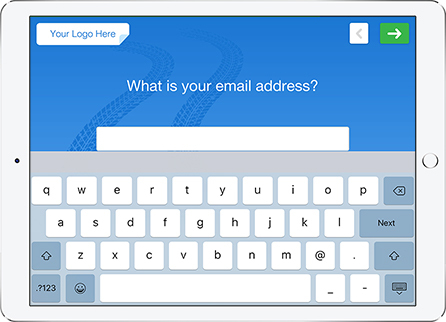 The QuickTapSurvey form builder has options to add a custom logo, replace the background image, and change the button and text colours to ensure your auto dealership service satisfaction survey is fully branded for your business. 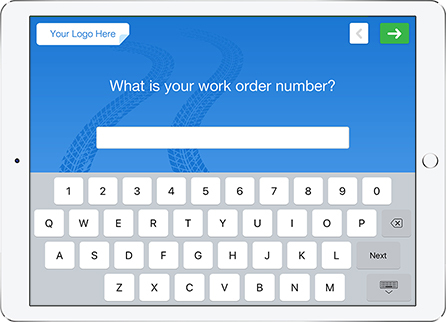 With the QuickTapSurvey app, you’ll be able to branch your survey questions in response to customer feedback. Did your customer have a bad experience? This survey example will direct them to follow up with a member of your management team so you can work to improve their experience and discover ways to improve your business. This smiley face question type prompts your customer to indicate how happy they are with a statement or scenario. Choose how many smileys to use, and whether to reverse the order starting from very satisfied or very unsatisfied. 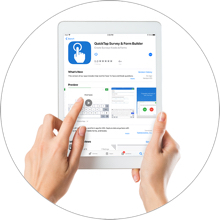 Sign up for a plan with QuickTapSurvey. We offer Individual, Pro, and Premium level plans. 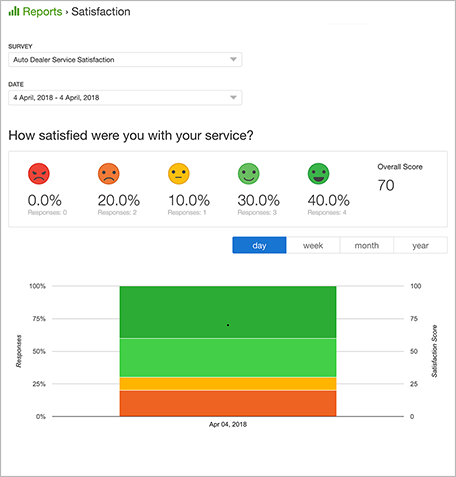 Create a new survey in the QuickTapSurvey web app and select the Auto Dealer Service Satisfaction template. 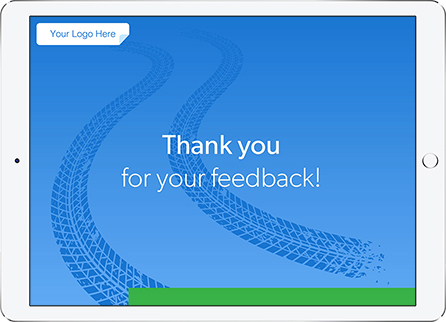 Customize the survey to your needs and publish it when you’re ready to start collecting feedback from customers at your dealership. Download our application on your phone or tablet, and sync your auto dealership survey to your device to start collecting responses. You can even collect responses without an internet connection and sync your data later when you’re re-connected to wifi! 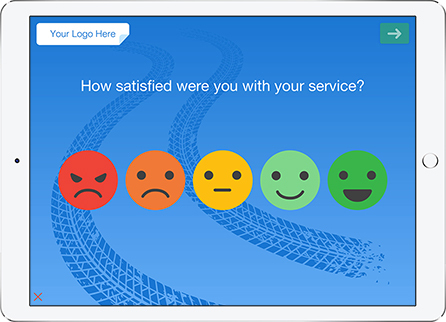 Collect responses in person from customers to measure service satisfaction at your dealership. 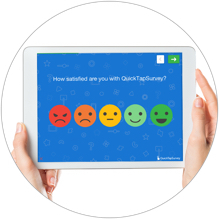 See your satisfaction results in one centralized location on the QuickTapSurvey web app and download your data in multiple formats. You can even generate professional and shareable PDF reports with data visualized into pie and bar graph formats. 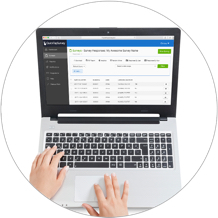 QuickTapSurvey makes it easy to gain insights into your data, with numerous powerful reporting and analytics tools at your disposal. View your collected data in one place through our app, and download your data in multiple easy to use formats. 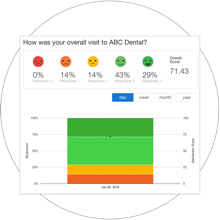 Create professional and easy to read reports, including an Analytics report, an Active Kiosk report, NPS reports, and Satisfaction reports. These reports will allow you to analyze survey results in the moment, rendering your data into digestible visual formats like pie charts, bar charts and tables. Thes reports can also be exported and shared. Find out more about what features are available with which plan on our compare plans page.